Venus who was the losing finalist to sister Serena in the last edition of the tourney crashed out in straight set to her much younger Swiss opponent. US Open champion didn't have the best possible start to a grand slam season as she was shown the door by Belinda Bencic in the opening round of the Australian Open on Monday. 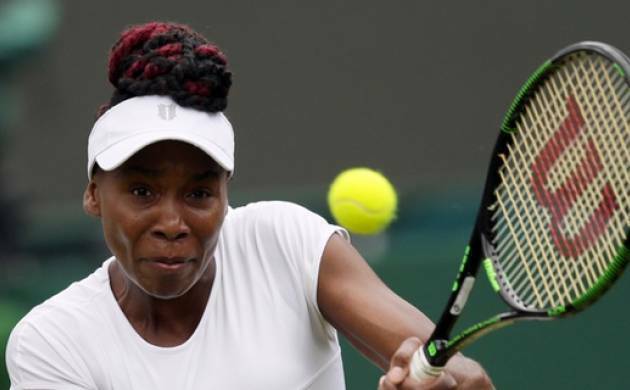 The 6-3, 7-5 loss for Venus Williams was her first in five career meetings with Bencic, who lost to Serena Williams in the first round here last year. It was a bleak opening day for American women, with U.S. Open champion Sloane Stephens, No. 10-seeded CoCo Vandeweghe, a semifinalist here and at the U.S. Open last year, and CiCi Bellis, the WTA's Newcomer of the Year, going out in the first round. The U.S. women were 0 for 7 in first-round singles by mid-afternoon. U.S. Open finalist and No. 11-seeded Kevin Anderson was the highest-ranked man eliminated at that point, losing in five sets to Kyle Edmund -- the only British man in the draw after five-time finalist Andy Murray withdrew. No. 16 John Isner lost in four sets to Australian Matt Edben. The 20-year-old Bencic saved five break points in the eighth game before a rain delay caused an almost half-hour suspension of play as the roof was closed on Rod Laver Arena. She returned on a roll, winning the next six points to hold serve and then clinch the set. Bencic teamed up with Roger Federer to win the Hopman Cup for Switzerland in the first week of the season, and had the 19-time major winner's parents in the crowd supporting her. It must have helped, having overcome the surprise when the draw was made that she'd have to play another Williams in the first round. "Honestly, the first reaction of everyone was 'Oh, bad luck.' But of course, it would be nice to play somebody easier first round and get your rhythm a little bit," Bencic said. "It's amazing, when I was a little girl, I was watching them on TV. I never thought I'd get a chance to play them." Williams' exit followed No. 13-seeded Stephens' 2-6, 7-6 (2), 6-2 loss to Zhang Shuai. Stephens had a chance to serve for the match in the 10th game of the second set but dropped her serve. She wasoutplayed in the tiebreaker and in the third set. It always shaped as a tough opener for Stephens, who hasn't won a tour-level match since her Grand Slam breakthrough triumph at the U.S. Open last year and facing a player ranked No. 34, two spots off being seeded for the first major of the season. Stephens didn't play last year's Australian Open because of a left foot injury that kept her out of action until Wimbledon. Since beating Madison Keys in the U.S. Open final, Stephens has lost eight matches. "Sloane she plays so well, won the U.S. Open -- everyone knows -- she's a great player," Zhang said. "I know how hard I'm working ... coming to Australia I'm ready for every match, every player. That's why I won today." French Open champion Jelena Ostapenko made a positive start with a 6-1, 6-4 win over 37-year-old Francesca Schiavone, the 2010 French Open winner. Vandeweghe was leading in her first set before a rain delay on Hisense Arena, and Timea Babos rallied to win 7-6 (4), 6-2. Of the other U.S. women out in the first round, Sofia Kenin lost to No. 12 Julia Goerges — who extended her winning streak to 15 matches — Bellis lost to No. 30 Kiki Bertens, Alison Riske lost in three sets to Kirsten Flipkens, Taylor Townsend lost in straight sets to No. 19 Magdalena Rybarikova. Among the other seeded players falling were No. 24 Dominika Cibulkova, the 2014 Australian Open finalist who lost to Kaia Kanepi, and No. 31 Ekaterina Makarova who lost 3-6, 6 -4, 8-6 to Irina-Camelia Begu. Ryan Harrison was among the men advancing, beating Dudi Sela in five sets, along with No. 10 Pablo Carreno Busta, No. 23 Gilles Muller and No. 31 Pablo Cuevas.